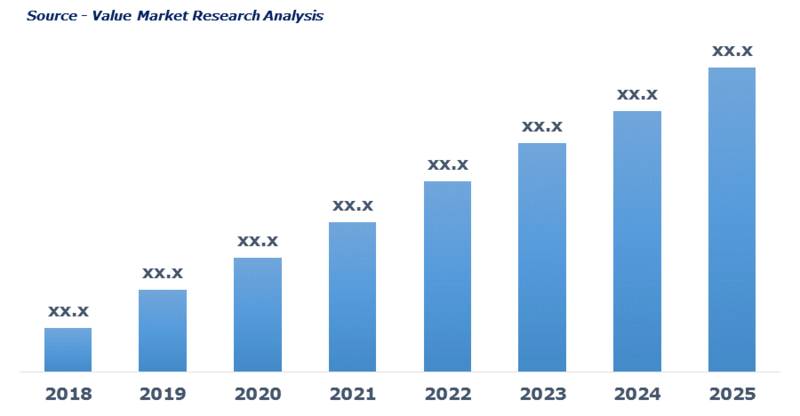 As per this study the Global Pressure Switch Market was valued USD 1.8 BN (by revenue) in 2018 and is anticipated to reach USD 2.5 BN by 2025 with a CAGR of 4.5%. Pressure switch refers to the device used to monitor, control fluid pressure by providing high vibration resistance. Pressure switch is either mechanical or electrically powered. Mechanical one uses fluid whereas the electric pressure switch uses electronic signals to monitor pressure. Functionally, it applies the process pressure to the diaphragm present, and give rise to force more or less as compared to pre-compressed spring. Rising adoption of automated process across industrial and manufacturing industry is driving the market growth. The growing demand of water pumps, electrical gas compressors, pressure panels, etc. from oil & gas, chemical, power generation and others is further fueling the market demand. Moreover, owing to relatively low cost coupled with multi-functionality of pressure switch is projected to push the market growth uphill. This detailed market study is centered on the data obtained from multiple sources and is analyzed using numerous tools including porter’s five forces analysis, market attractiveness analysis and value chain analysis. These tools are employed to gain insights of the potential value of the market facilitating the business strategists with the latest growth opportunities. Additionally, these tools also provide a detailed analysis of each application/product segment in the global market of pressure switch. The broad pressure switch market has been sub-grouped into type, pressure range, application and end-user. The report studies these subsets with respect to the geographical segmentation. The strategists can gain a detailed insight and devise appropriate strategies to target specific market. This detail will lead to a focused approach leading to identification of better opportunities. Furthermore, the report comprises of the geographical segmentation, which mainly focuses on current and forecast demand for pressure switch in North America, Europe, Asia Pacific, Latin America, and Middle East & Africa. The report further focuses on demand for individual application segments in all the regions. The report also covers detailed competitive landscape including company profiles of key players operating in the global market. The key players in the pressure switch market include ABB, Barksdale, Baumer Group, BD|Sensors, Bosch, Danfoss, Eaton, Emerson, FOX Srl, Honeywell, Parker, Schlumberger, Schneider and SMC Corporation. An in-depth view of the competitive outlook includes future capacities, key mergers & acquisitions, financial overview, partnerships, collaborations, new product launches, new product developments and other developments with information in terms of H.Q.